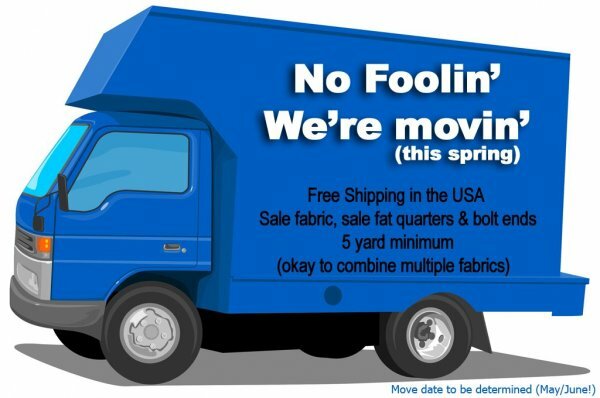 Minimum of five yards needed to qualify for free shipping offer. You can combine sale fat quarters, sale yardage, and bolt ends - it just needs to equal 5 yards or more. Only available in our Etsy shops.